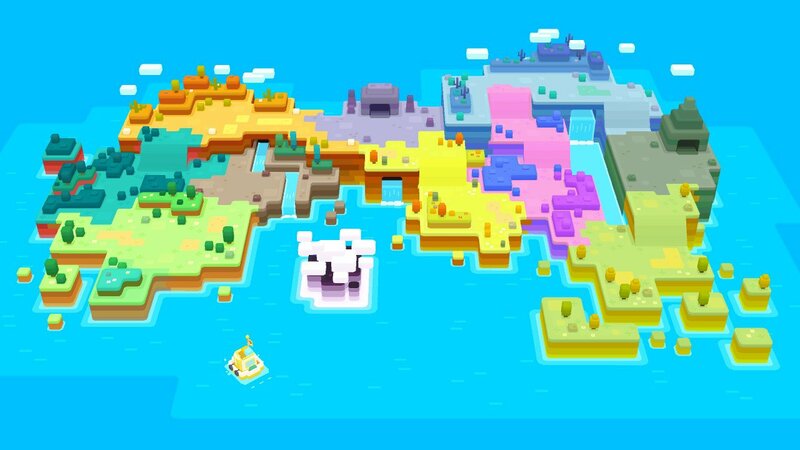 Pokemon Quest Announced and Available Right Now! So while some of us were sleeping, Nintendo and the Pokemon Company decided to have a huge press conference about the newest Pokemon games! That’s right games with an ‘S’, PLURAL. I will be covering all three games here on GunplaGamer as more information keeps rolling out. The games that have been announced and shown off are Pokemon Quest, which I will write about below, Pokemon Let’s Go Pikachu, Pokemon Let’s Go Eevee and Pokemon Generation 8 (tentative title). 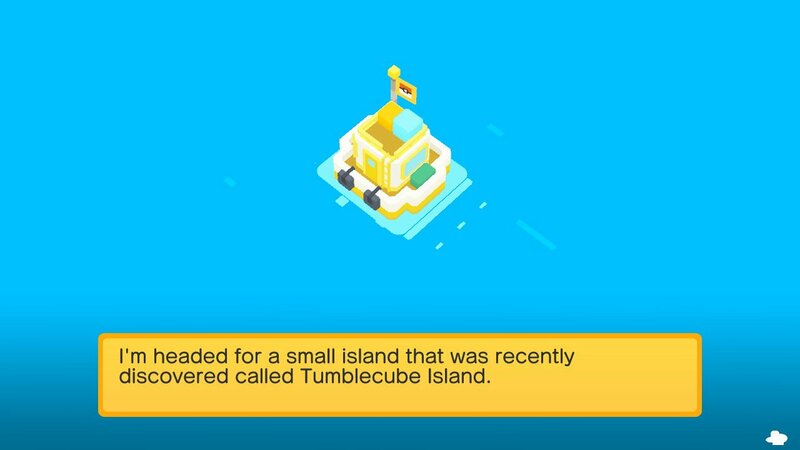 Pokemon Quest is a “free to start” game that has you befriending Pokemon on Tumblecube Island. After you arrive, you release a drone which promptly dies and it needs to reboot and you enter your name. When the drone reboots it is rather snarky. 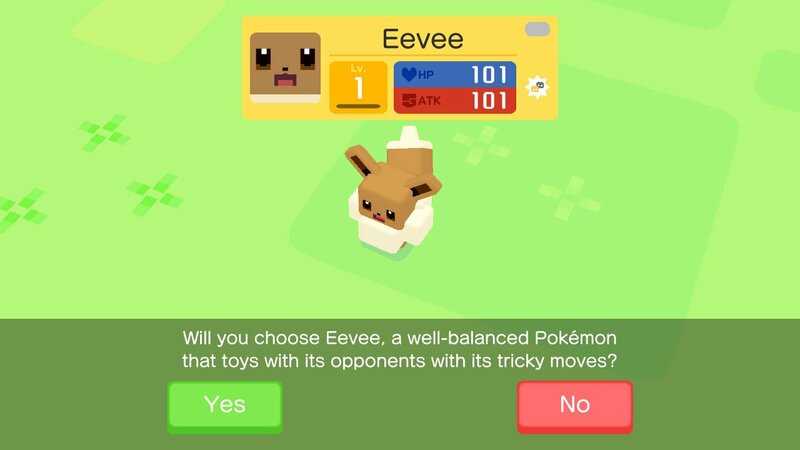 It then finds these cube-shaped pokemon in a field. You are then given the option to choose Bulbasaur, Charmander, Squirtle, Pikachu or Eevee as your friend. 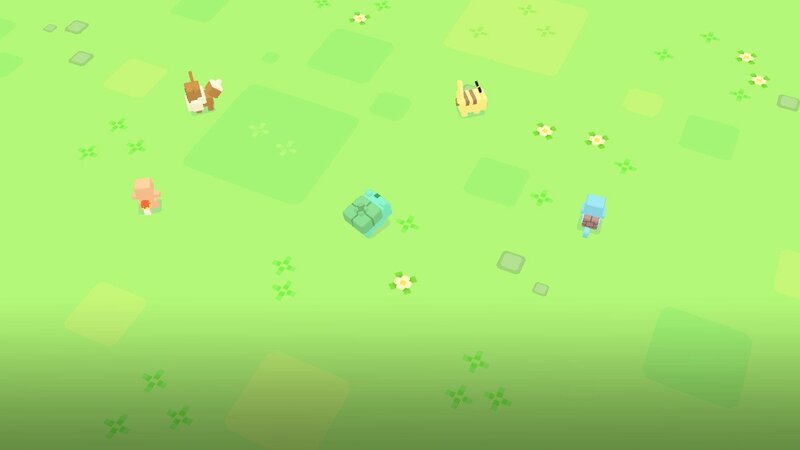 Once you choose which to befriend, they go off and start to find other Pokemon to fight and collect loot and ingredients to bring back to your base. You cook these ingredients to entice Pokemon to your camp to be friend them. You can check out the trailer for the game below!